Multiple parties could be responsible for a brain injury product, including the manufacturer, owner or maintenance contractor. Brain injury product liability cases could stem from any defective product. The manufacturer of a product can be held liable for any brain injury that occurs as a result of a defect in that product. Brain injury product liability cases can be based upon strict liability, negligence or breach of warranty. Product liability cases are typically cases which exist under state law. The law will be different from state to state. The underlying principle of a brain injury product case is that products must be made safe. Safety must be a paramount concern in the design and manufacture of all products. There are as many potential product cases as there are products. My first brain injury case involved a compressor which exploded. Liability can exist for the manufacture, installation or maintenance of a product. The defective furnace that causes carbon monoxide poisoning is a good illustration of product liability law. An action may exist against the manufacturer of the furnace for a poor design. An action may exist against the manufacturer of the furnace for defective production. A claim could exist against the installer of the furnace for an inadequate ventilation system. Further, an action could exist against the owner of the building for negligent maintenance. 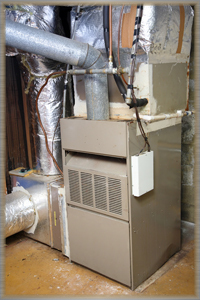 Responsibility might lie on a third party contractor responsible for negligence in maintaining or repairing the furnace. One particularly important issue that must be kept in mind under various state laws is what is called a “statutes of repose”. A statute of repose imposes a time limit to file a lawsuit, not from the date of injury, but the date of manufacture of the product. It is important not to delay in contacting an attorney in a product liability case, particularly if it was an older product involved. It is paramount in a brain injury product case that evidence be preserved. Keep the product. The natural inclination is to destroy that which has caused severe injury. But without the product, it is extremely difficult to prove that it was defective.